Food is the main reason to visit Penang. The mere mention of the best Penang food conjures up a cultural diversity of mouthwatering foods. The most highly celebrated Malaysian foods are the street or hawker fare, which deliver a sensorial combination of sour, sweet and spicy. 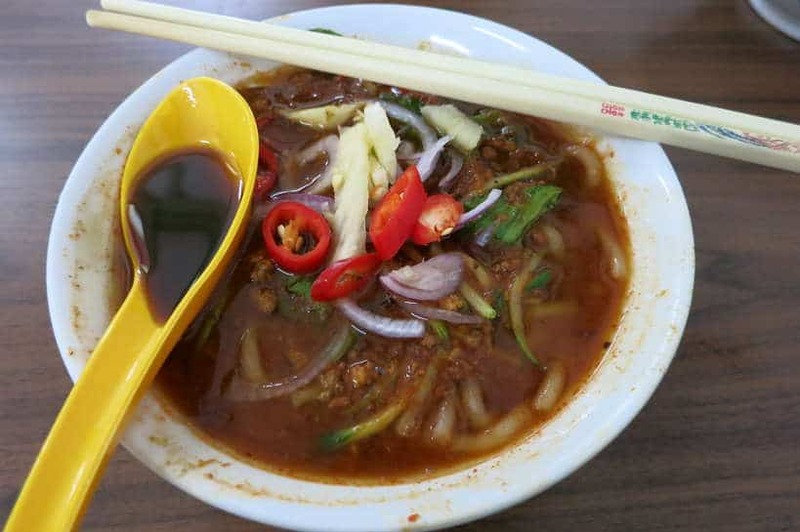 Penang, the food capital of Malaysia was a tantalizing treat on our authentic food quest. A food lover’s dream come true. On the streets of Penang, eating never seems to stop. The best Penang food is available every hour and every day of the week. 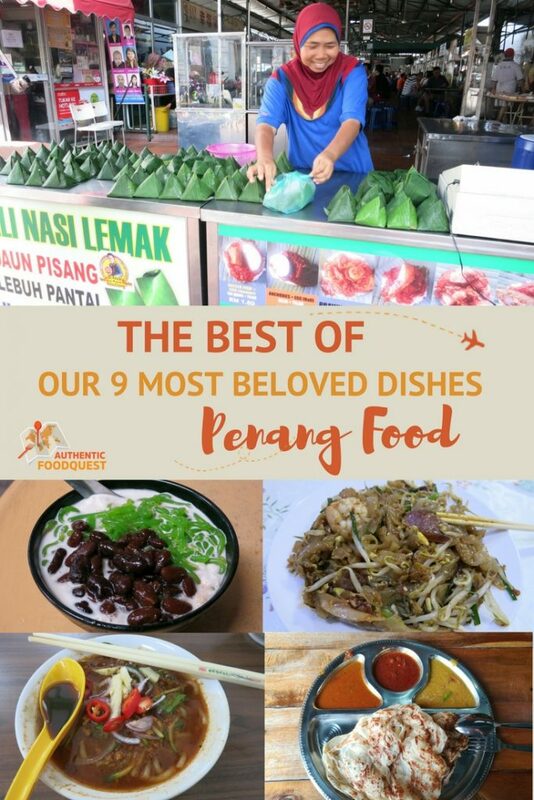 Let us take you on a culinary journey through the best Penang food and our 9 most beloved authentic dishes. If you only have a chance to eat one local dish on your stay in Penang, may Char Koay Teow be it! This is truly a delicious Penang food specialty. You may also see it written as Char Kway Teow and have a hard time to pronounce it. But, you won’t be mistaken by its distinctive taste. Char Koay Teow literally means” stir-fried flat rice noodles strips.” It is a made with flat rice noodle strips stir-fried with shrimp, cockles, eggs, bean sprouts, chives and lap cheons or Chinese dried sausage in a mix of soy sauce. Delicious doesn’t even begin to describe this dish. Having just come from Thailand, it reminded us somewhat of Pad Thai. However, in our opinion, Char Koay Teow is far more flavorful. Bursting with flavors, it has the perfect mix of savory, sweet and spice. The fresh ingredients and shrimp, cockles, Chinese sausage create a unique combination of flavors that you’ll never forget. Most often, you will find Char Koay Teow served on the streets from local food stalls. The secret to the best Char Koay Teow is in the way it is prepared and cooked. You want to go with a street vendor who is making Char Koay Teow, one plate at a time. Also, the best heat source is charcoal. Typically, the vendor keeps fanning the fire so that it is at the right cooking temperature. So, don’t be surprised if you have to wait to get your perfect Char Koay Teow! 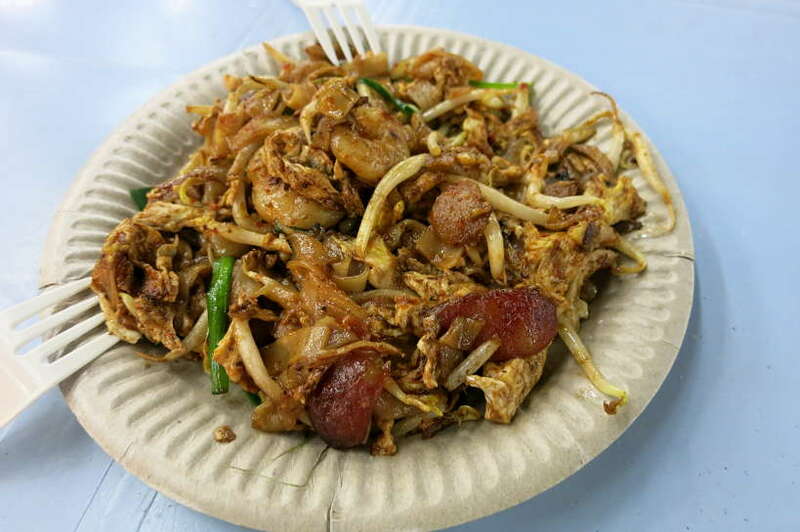 You will find Char Koay Teow in many hawker centers in Penang. Our favorite was from an unpretentious street food vendor at the corner of Jalan Anson and Jalan Siam. 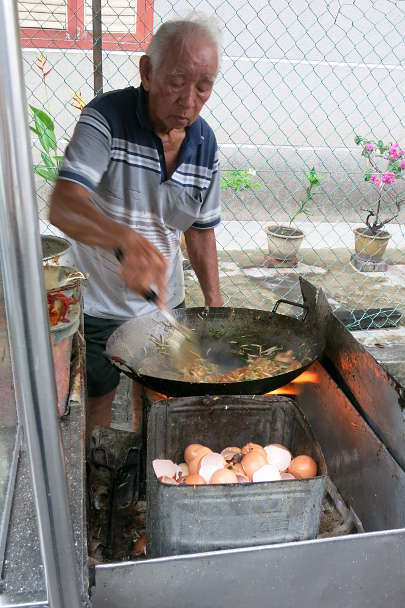 The only street cart on the street, this old man prepares Char Koay Teow, the traditional way. We waited in line for about 45 minutes to get our plates. As we waited, locals would walk up or drive up and take their place in line. All of us tempted by the alluring aromas and the attention to detail. Rather than making quantities ‘en mass’, the old street vendor would make each plate individually and get it “just right” before moving to the next order. Across the street cart is a small corner KopiTiam where you can take a seat and enjoy your meal. This is a perfect place to people watch, sip on the local drinks while waiting for your Char Koay Teow. While 45 minutes is a ridiculous wait for street food, this particular Char Koay Teow, is worth the wait. It is absolutely divine and addictive. The combination of aromas makes for a delicious experience. Hours: Everyday, 3 pm – 9:00 pm, closed on Sundays. Laksa is one of the most popular dishes in Malaysian cuisine. There are many different versions, each with their own intricacies. 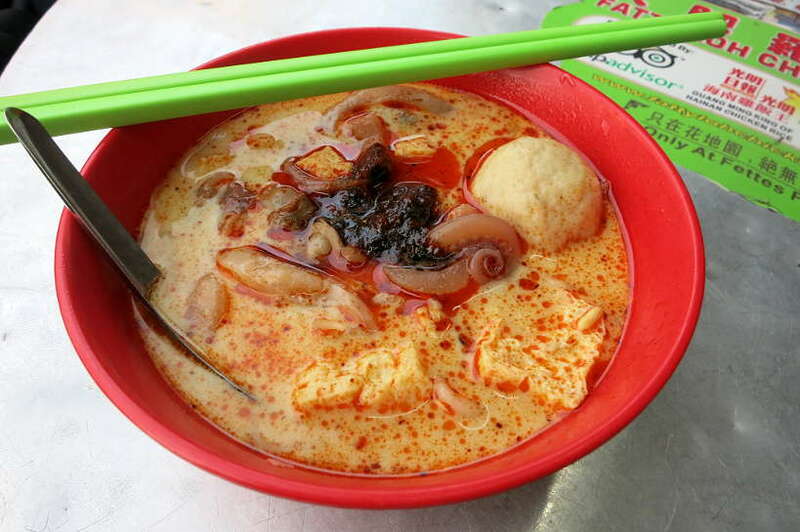 The Assam Laksa from Penang is popular and world famous. It even took the 7th spot on CNN World’s 50 Best Food list. When we arrived in Penang, this was one of the first dishes we heard about and sought out. Penang Assam Laksa is an addictive spicy-sour fish broth with vermicelli noodles. The secret to a great Laksa is the spicy paste, which is at the core of the fish based broth. This fish based vermicelli noodle soup comes with flaked fish, finely sliced onions, cucumber, red chilies, lettuce, mint and ginger flower. The tasty broth includes tamarind and dish is served with a tablespoon of prawn paste for additional flavor. A little tangy and sour, this fish soup is incredibly delicious, though an acquired taste. This dish definitively lives up to all the hype. 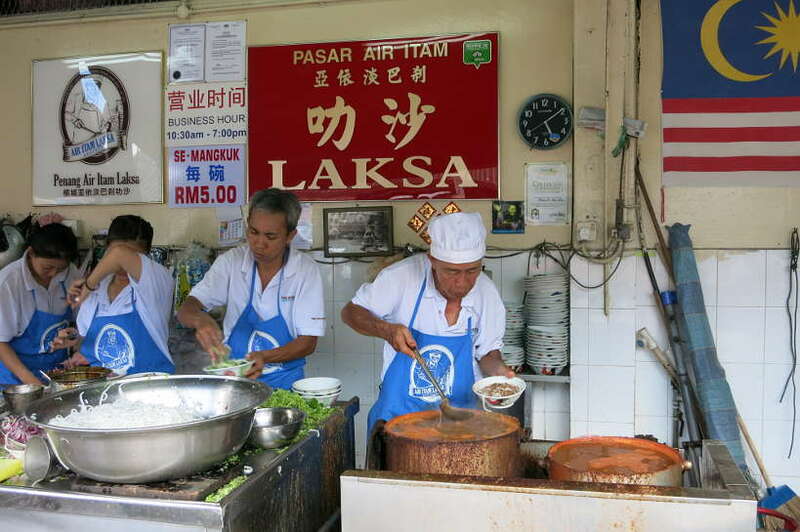 Penang Air Itam Laksa is an old family run hawker stall that was established in 1955. 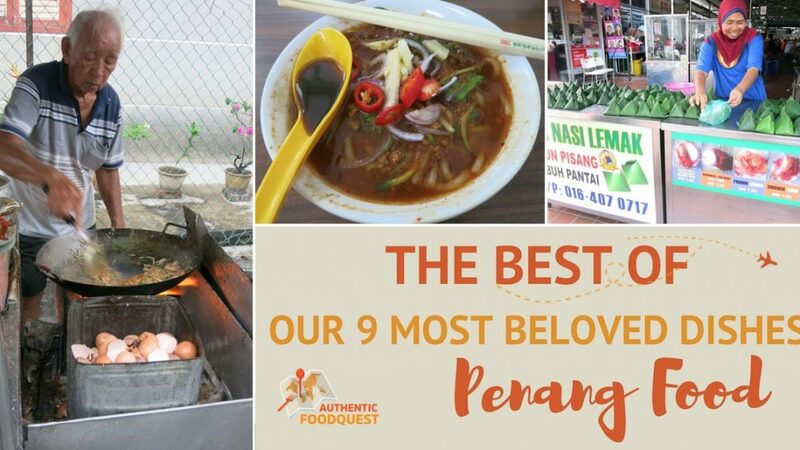 Located next to Air Itam Market, you will find some of the city’s best steaming bowls of Penang Assam Laksa. The place can get busy with locals and tourists, so be patient. It is well worth the wait! Hokkien Mee takes its origins from the Chinese province of Fujian or Hokkien. This noodle based dish is very distinct with its orange tinged broth. The broth is made from pork bones, prawn shells and heads giving it its unique color. The broth is then poured into a bowl of yellow noodles mixed with rice vermicelli. It is served with a boiled egg, water spinach, bean sprouts and peeled prawns. Fried shallots, lime and sambal sauce are added to spice up the dish. This dish is for the seafood lovers. It not only has a distinct color but also a distinct seafood taste. If you don’t want the pork, you can ask for a seafood serving only. We found this dish very flavorful, with a uniquely rich and savory taste. The mix of noodles complement the broth and the combination of flavors make for a unique dish! 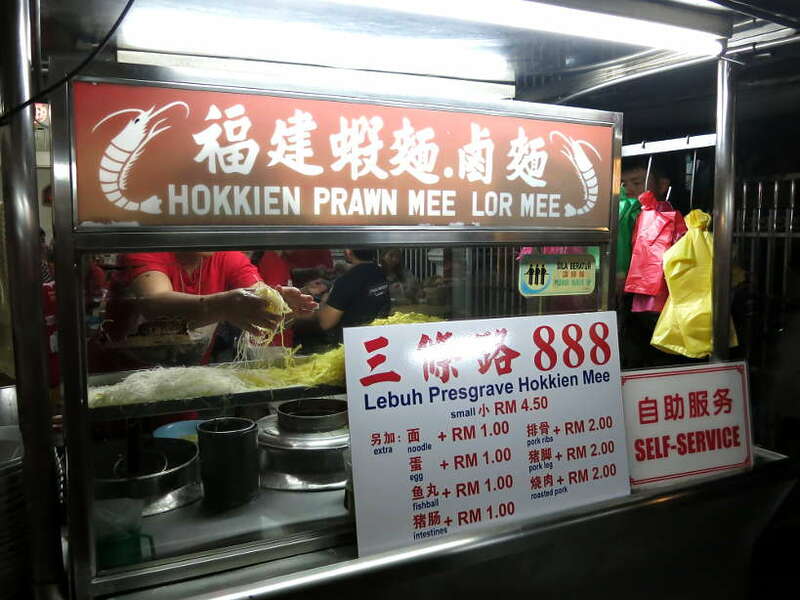 There are several delicious Hokkien Mee stalls competing for popularity. Our favorite is the popular Hokkien Mee stall at Lebuh Presgrave hawker center in Penang. This hawker center is not well known by the tourist, but very popular with the locals. It is not a large hawker center and you will find the Hokkien Mee stall on the side of the other stalls. They serve bowls which you can customize to your liking. You can have more prawns or different cuts of pork or even a combination of the two. This stall is a “self-service” counter, meaning that once you place your order, you take your bowl and then find a table. We found this particular Hokkien Mee very flavorful. The pork mix with the seafood added a unique twist to the flavor. If you have only one chance to try the Hokkien Mee, you’ll want to go to this food stall! Address: Presgrave Street Hawker Center, Penang. Hours: Everyday, 4:30 pm – 12:30 am, closed on Thursdays. This beloved Malaysian dish quickly became one of our favorite foods in Malaysia. We first discovered it in Penang, and happily ate it throughout our stay in Malaysia. Roti canai is the Malaysian adaptation of the Indian paratha roti or Indian flatbread. This dish made its way to Malaysia, under colonialism, when the British brought South Indians to work in British Malaya. The Indians brought their food and culture with them including their savory flatbreads, Roti Canai is one of the most basic rotis. It is served with curry, with the most common being daal (a soupy lentil curry) and kari ayam (chicken curry without the pieces of chicken). Everything about Roti Canai is an experience. From the delicious tastes and flavors to the impressive preparation process. Like pizza dough, roti canai dough is thrown and spun in the air, and slapped against a hot well-oiled work surface. Unlike pizza dough, roti canai dough is spun and slapped continuously until it becomes almost paper-thin. Interestingly, Roti canai translates to “flying bread,” in reference to the way it’s prepared. 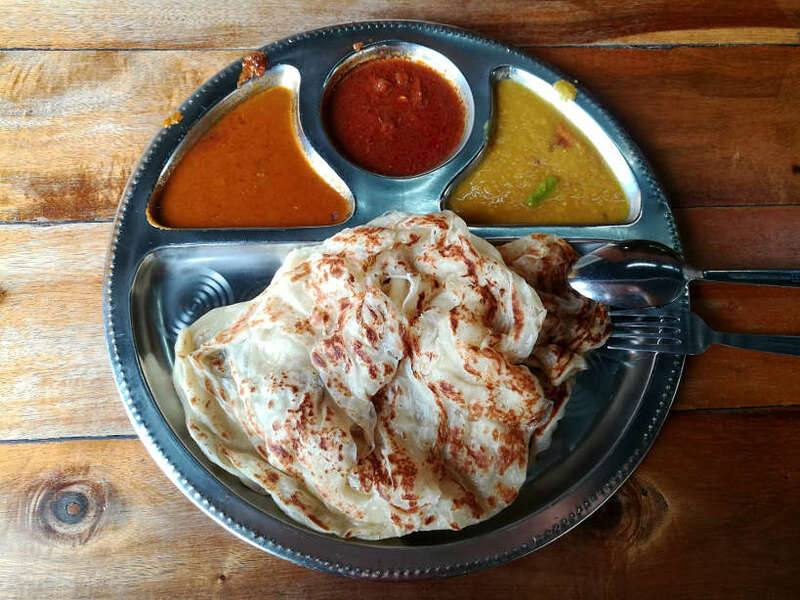 In Singapore, it is known as “roti prata”, but Malaysians know it as “roti canai.” It is a popular breakfast dish but is also served as a snack or quick lunch. In Thailand, they make a sweet version called Thai Roti. You can read more about Thai Roti on our article about the most popular Thai desserts. Address: 300, Jalan Phee Choon, George Town. Transfer Road Roti Canai is famous for roti canai in Penang. This particular food stall has a history for over 90 years and has been passed down through four generations. This dish, considered the national dish of Malaysia can be eaten for breakfast, lunch or dinner. You will find this famous dish sold everywhere from fancy restaurants to more humble Mamak stalls (hawker stalls). In the center of Georgetown, at the Sri Weld Food Court, you’ll find locals and tourists of all ages and races waiting up to place their order at Ali Nasi Lemak. The rice in Nasi Lemak is a fragrant rice cooked in coconut milk with pandan leaves and even ginger or a stalk of lemongrass. It is packed fresh every time at Ali Nasi Lemak. You can choose from six different types; chicken, prawns, salted fish and eggs, anchovies and egg, fish and cuttlefish. The anchovies and egg or bilis telur is one of the most popular. We sampled this variety as well as chicken and cuttlefish (sotong). All three were delicious, but the anchovies and egg was a home run for us. An inexplicable taste of eggs, anchovies and sambal sauce that complement each other beautifully. The coconut flavored rice is irresistible. The whole experience is comfort food familiar, yet creatively flavored. 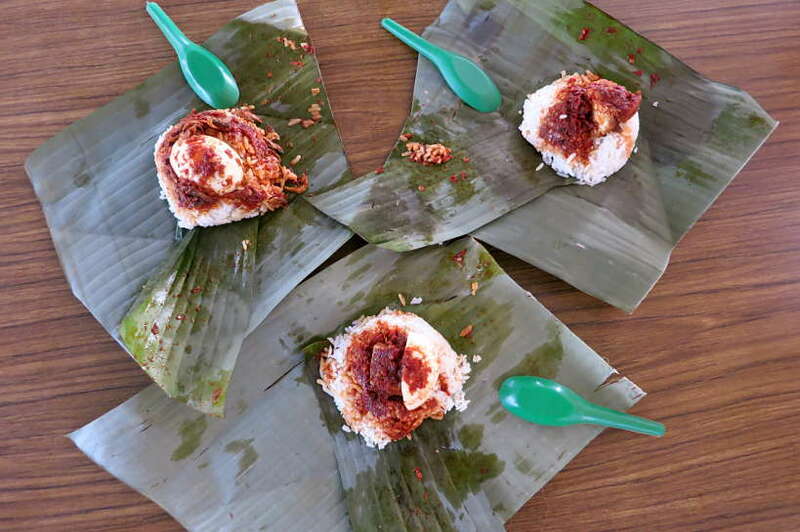 Located right in the heart of Georgetown, Ali’s famous daun pisang Nasi Lemak comes with six different choices; chicken, prawns, salted fish and eggs, anchovies and egg, fish and cuttlefish. 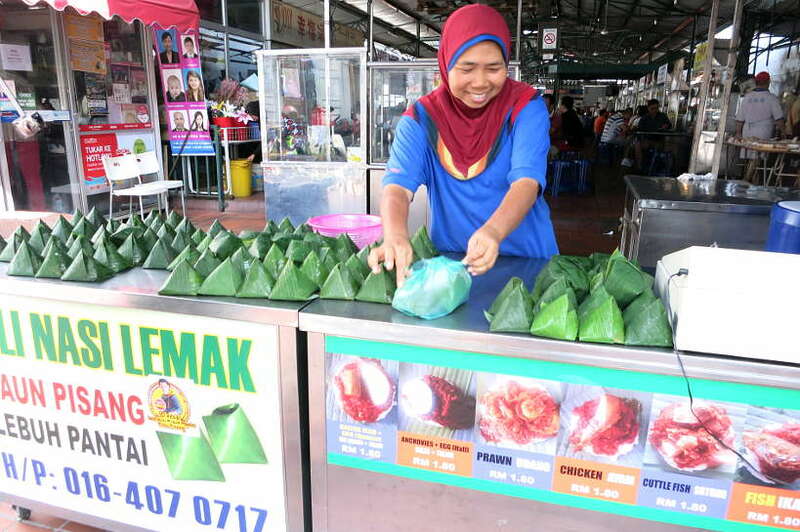 The food is prepared on the spot and wrapped in a triangular shape with banana leaves. This might be one of the most popular noodle dishes, available at almost every Chinese Kopitiam and Hawker Center in Penang! And it is an easy meal if you don’t want to venture too much out of your comfort zone. 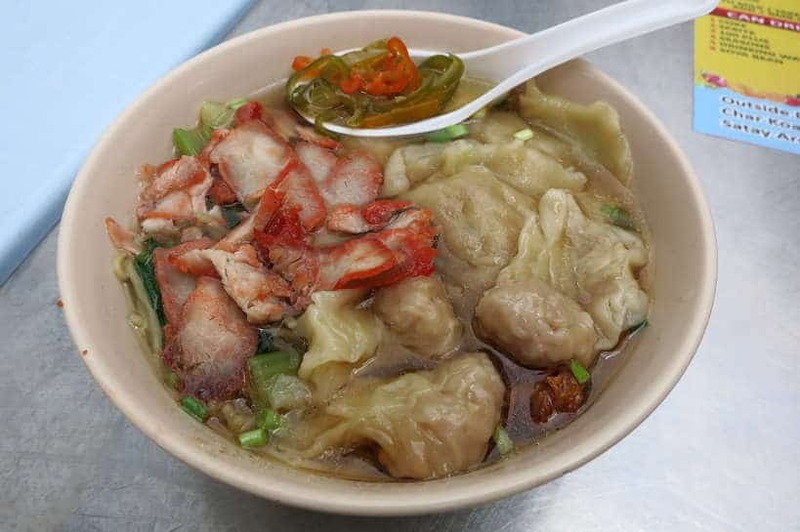 The Wanton Mee is a soup served with shrimp dumplings, leafy vegetables, and barbecue pork slices also known as Char siu. You might also find dried and fried versions of this popular Chinese dish. Our favorite is definitely the soup version. We find it richer in flavor and more filling than the other versions. On your travels to Penang, do not miss New Lane Hawker Center. 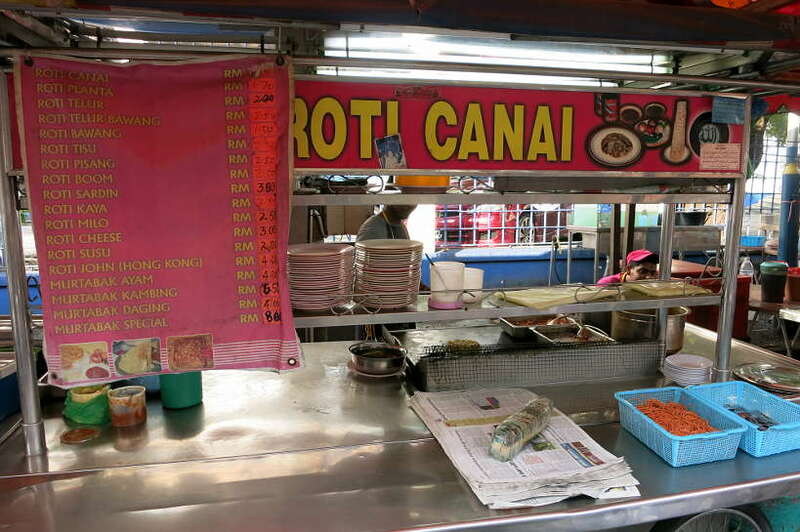 Located on Long Baru street which closes at night to accommodate the food stalls. In the middle of the stalls, you will find this Wanton Mee food vendor. He serves generous portion with delicious slices of pork. The dumplings are perfectly cooked, and not too thick or heavy. The broth is well seasoned and full of big flavors. A simple dish that is just plain good. Address: Lorong Baru, George Town. Hours: Everyday, 4:00 pm – 11:00 pm. Closed on Wednesdays. This was one of our favorite dishes, second to the Char Koay Teow. We were blown away by the unexpected flavors. Curry Mee is a unique soup made with a mix of thin yellow noodles and rice vermicelli. The broth is made of a spicy curry soup with sambal, coconut milk and a mix of tofu, prawns, chicken, egg, mint leaves and cockles. At first glance, we were unsure of what to expect.It is not the most attractive bowl of soup, but each spoon melts in the mouth! The curry soup is succulent and every ingredient marries perfectly with the curry taste. Go beyond the visual appearance and don’t miss this delicious Curry Mee soup. Expand your palate with the unique curry flavors and taste what makes it one of the best Penang food. 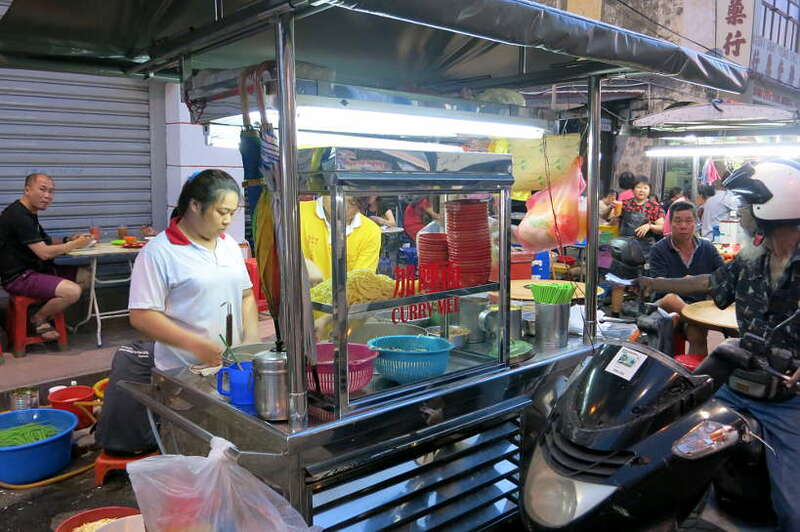 One of the most famous places for street food in Penang is Chulia Street, Food Stall. It is really an arrangement of food stalls on Lebuh Chulia Street. As we looked around, we noticed an unpretentious Curry Mee stall that always seemed to have someone stopping by to get a bowl of Curry Mee. Once we ordered our bowls, we were a bit skeptical about how it would taste. But after the first bite, we were sold. It is truly a delightful dish, one you’ll want to hunt for when in Penang. 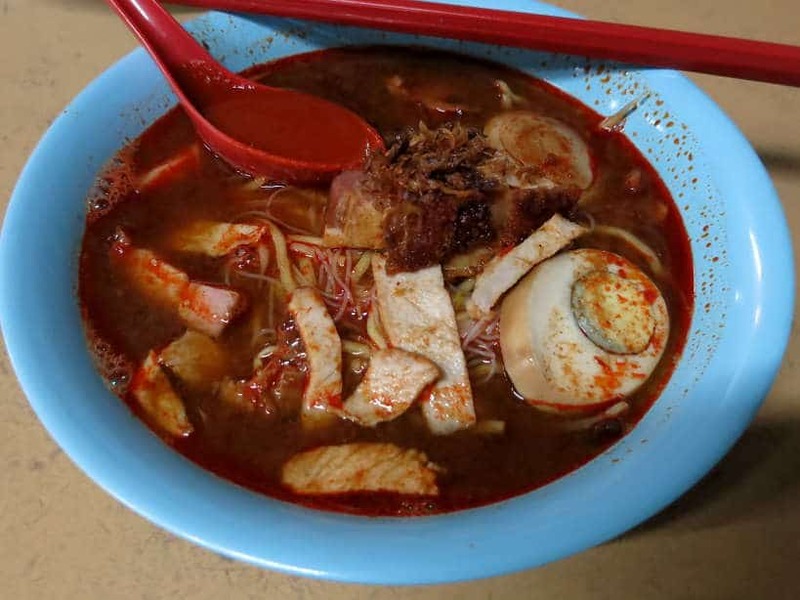 Chulia street has many food stall options and we definitely recommend coming here one evening for this Curry Mee. Cendol, pronounced something like “Chendul”, is one of the most surprising desserts we discovered. We had tried this dessert before in Singapore and we had heard that Penang had adapted it and created their own version. This unique dessert has green jelly noodles made with rice flour and green food coloring. It is served with kidney beans and immersed in shaved ice and finished off with copious amounts of coconut milk and palm sugar. Penang road or Lebuh Penang in the core zone of Georgetown has two very famous cendol stalls. The Penang Road Famous Cendol Stall on the north side of the street while the Penang Road Famous Teochew Chendul Stall can be found the south side, next to Joo Hooi Cafe. We waited about 20 minutes in line to try cendol at the Penang Road Famous Teochew Chendul stall. It was tasty, but not fantastic. It was a hot day and the ice melted almost instantly leaving a bowl full of kidney beans spiked with green noodles. Our favorite Cendol was recommended to us while dining at Lebuh Presgrave hawker center that is not popular with tourists. If you want to get off the beaten path and try cendol in a local and non-touristy neighborhood, we highly recommend Lebuh Presgrave. 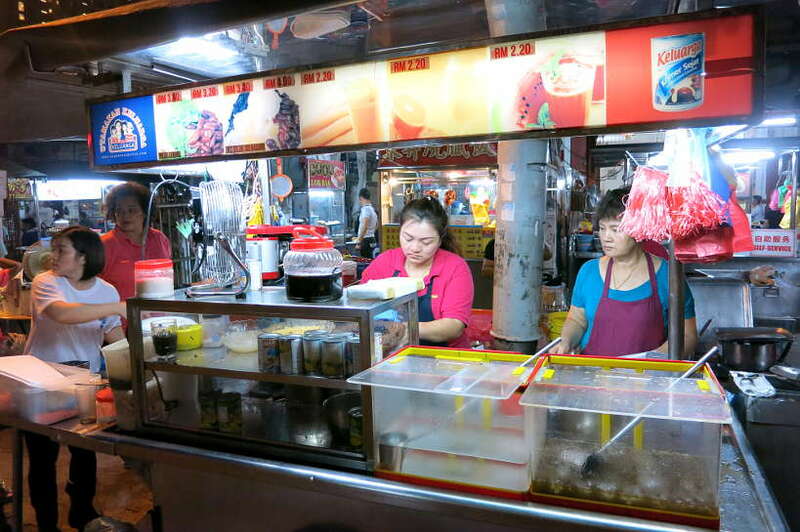 On Penang Street, you will not miss the long lines at either of the two famous cendol stalls. 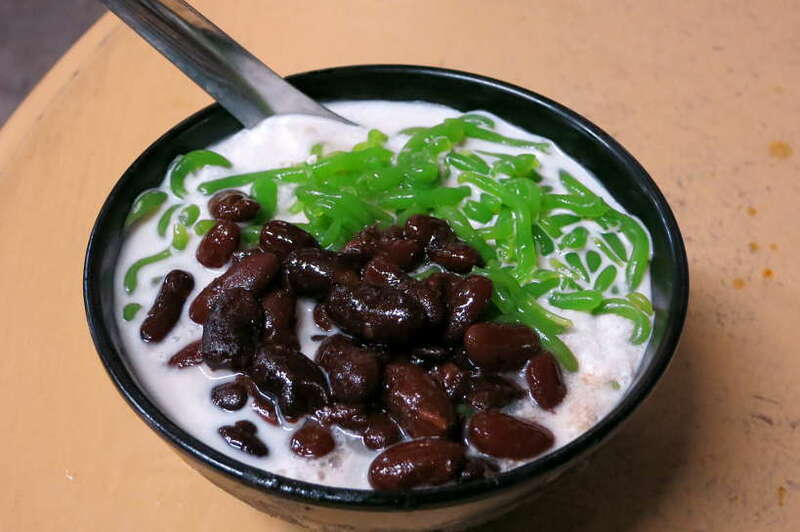 As long as you are in the area, try cendol from Penang Road Famous Teochew Chendul and make your own opinion. These famous Penang biscuits are a true gem. Tambun biscuits are typically made from wheat flour, sugar, green bean paste, fried onions, lard, and salt. 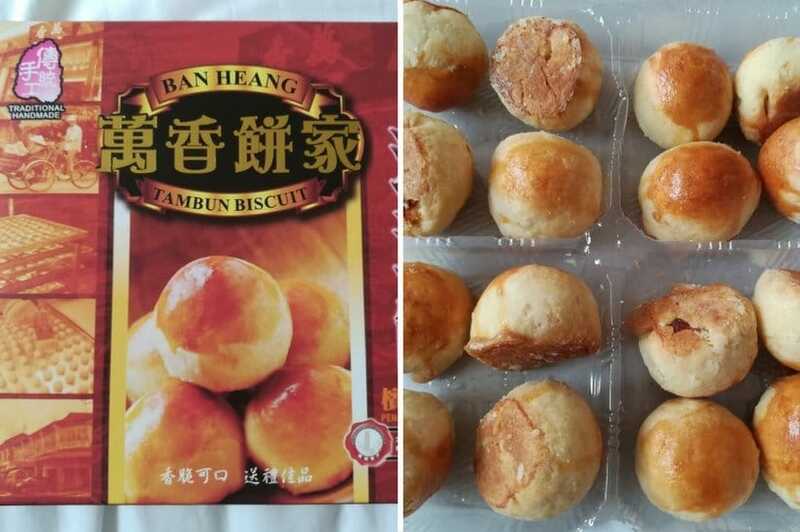 Also known as Tau Sah Peah in Chinese, Tambun biscuits have an interesting sweet and salty combination. Shaped as a ball, they have a dry sweet thin crust on the outside and a salty filling on the inside. We really enjoyed these biscuits as a snack or after one of our best Penang food to complete our meal. They are also delicious to have with a local drink. They are a few shops selling Tambun biscuit in Penang. 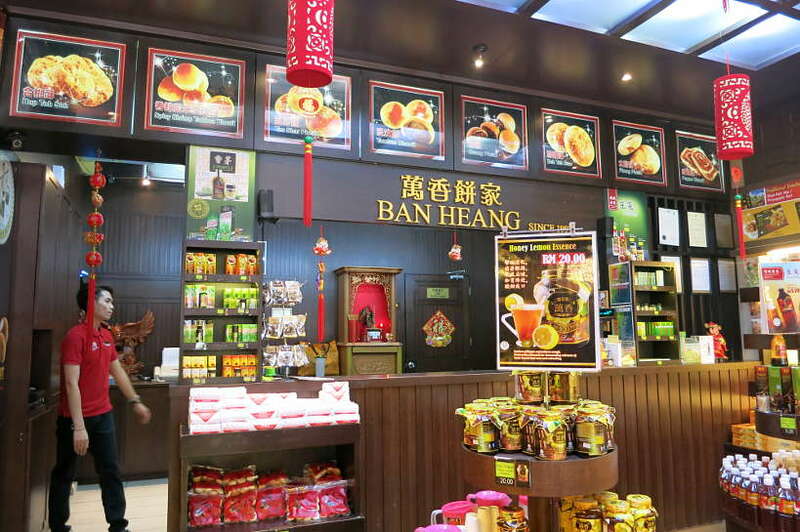 We were staying not far from Ban Heang, a famous local biscuit manufacturer. Every time we passed by it, we were tempted by smells and the different flavored biscuit varieties. At Ban Heang, they sell different flavors of Tambun biscuit including biscuits made with Durian the “King of fruits”. If eating raw Durian doesn’t tempt you, you might want to try these wonderful durian flavored biscuits instead. The food in Penang is a sensorial journey of flavors and cultures. Familiar dishes are prepared in unexpected ways and unique combination of ingredients create cuisines. 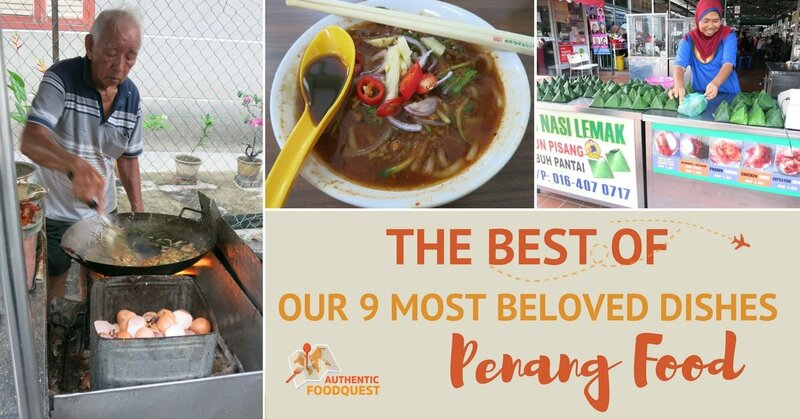 There is so much good food in Penang, that coming up with the best Penang food list and our most beloved dishes was a challenge. One could honestly spend years just in Penang, discovering and savoring the local flavors. If your travels take you to Malaysia, be prepared for a culinary feast. Relish the history in Georgetown, the capital and enjoy the best Penang food ever. Have you had any of this Penang food before? In the comments below, tell us the most tempting dish to you. OMG I absolutely LOVE Penang char kuay teow and the tau sah piah (tambun biscuits)! My dog adores tambun biscuits as well. She eats everything but her two favourite foods are durian and tambun biscuits. I know because she follows me around whenever I’m eating it and looks at it longingly! Also, kudos for knowing that roti canai is called roti prata in Singapore. Are either of you Singaporean / have lived in Singapore? Hi Michelle, thanks so much for your feedback and glad you enjoyed the article. We loved the tambun biscuits as well and can understand your dog following you around…lol! No, we’ve never lived in Singapore, though we spent time exploring the local flavors in the country. We absolutely adore roti canai and would find all ways to eat it, including the different names it goes by 🙂 Thanks for stopping by!! Thanks so much Tom for your feedback. The idea with the first article was to first introduce Penang and then follow up with the dishes to eat. Glad you were introduced to Nasi Lemak. Amazing dish and one of our favorites. Would love to try the Arancini version and compare 🙂 Thanks again! Everything here looks delicious and I would like to try each and every dish. I am surprised how cheap the food is as well. Indeed the food in Penang is not only delicious but very inexpensive as well. That alone is worth a trip to the Food Capital of Malaysia. Cheers! After reading this, I am so hungry! I would love to try the Char Koay Teow, as I like pad Thai and the Roti Canai curry dish looks good too! I think I need to head to Penang to try all of these dishes! Thank you for the recommendations, I would not know where to start! Thanks so much Lucy and glad this article has given you tips on where to start in Penang. You nailed two of our favorite dishes, but there is lots more to discover. A trip to Penang is certainly worth it! I’ve been to Penang, and of course I’ve had some of these. I love Char Koay Teow and Cendol! One thing I always bought there as well is the soya milk. So delicious. This all sounds so good! We love the food in Kuala Lumpur but have never ventured to Penang. The Char Koay Teow sound divine and the Curry Mee is so colorful. 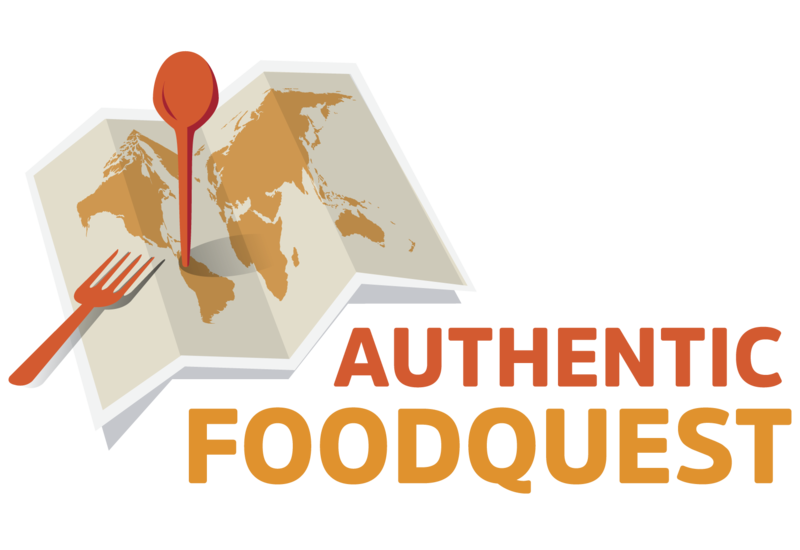 Thanks for providing detailed locations for where to find the best of each dish as its sometimes hard to track specific street food down if you don’t have an exact location! We have spent days in Bangkok tracking down specific food carts from one of our other favorite food blogs. We’ll follow this one as well! 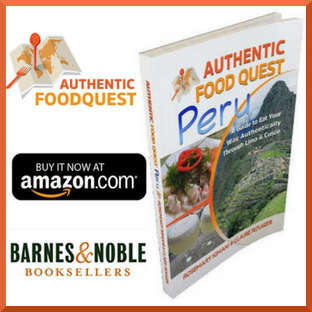 Finding the delicious local foods is not always easy, that’s why we included information about where to find the food. 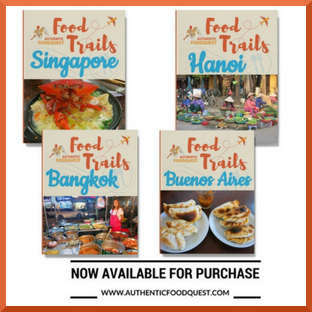 Check out our articles about Bangkok food and that should help. Next time you are in Malaysia, a trip to Penang is worth it. Thanks for stopping by. Hi Rosemary, this post made me literally happy. I visited Penang a while ago , tried all the food but did not remember at all the names. So now I have it all here as a telephone book, even with pictures. So many great memories, I have enjoyed this read! You are most welcome Veronika and so glad you enjoyed the article. 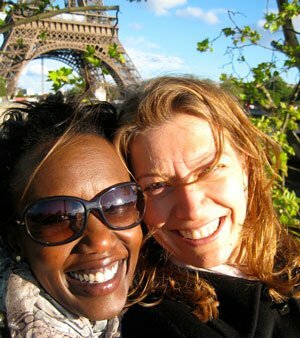 Writing this article and reliving our experience was a joy for us as well. Penang is such a wonderful island filled with delicious flavors and wonderful people. A must visit for any traveler. Appreciate you stopping by. Penang Assam Laksa and Wanton Lee look most intriguing to me. They all look delicious though! I’m sad that I missed Penang on my trip to Malaysia, but I’ll make it again soon! Oh bummer, can’t believe you missed Penang on your last trip to Malaysia.The food in Penang is incredibly delicious and has really unique flavors. A must visit for your next trip to Malaysia. 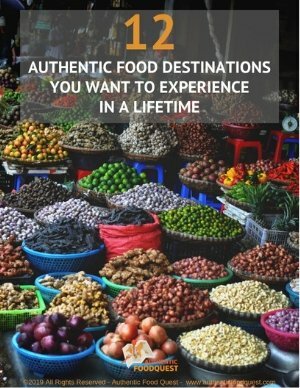 What food did you enjoy the most in Malaysia? That’s awesome that you can find Malaysian food in London. What was on the menu? Indeed, the food in the country was quite delicious and quite authentic. Hope you got a flavor of what awaits you in Malaysia. Well worth the trip to Penang. Thanks for stopping by. Cheers. Wow! 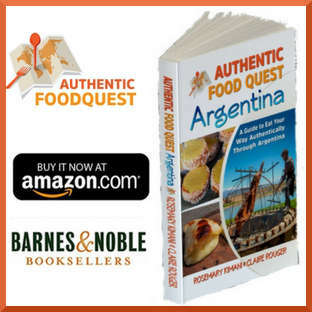 This is so much great information about the local cuisine. I follow a vegan diet and I feel like many of these could be made vegetarian with the proper steps. Is it easy to find many of the meals as vegetarian without fish or anything added? Thanks so much Lauren. Yes, with the Indian community and Buddhist Chinese communities, you can certainly find vegetarian food and vegan options. You would eat and eat well in Penang. Well worth the experience. Thanks for stopping by! Thank you so much, Eva. Truly the food in Penang is one of our favorites and we look forward to going back as well. Do you have a particular favorite Penang dish? Thanks for stopping by.